I have not posted for some time. 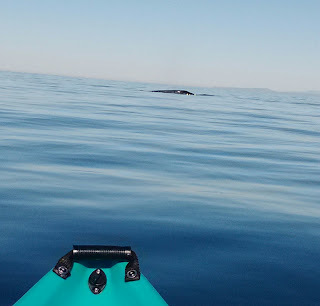 But I wanted to let anyone that may occasionally view my Blog that I am still kayaking often and will continue to post when anything of interest occurs. 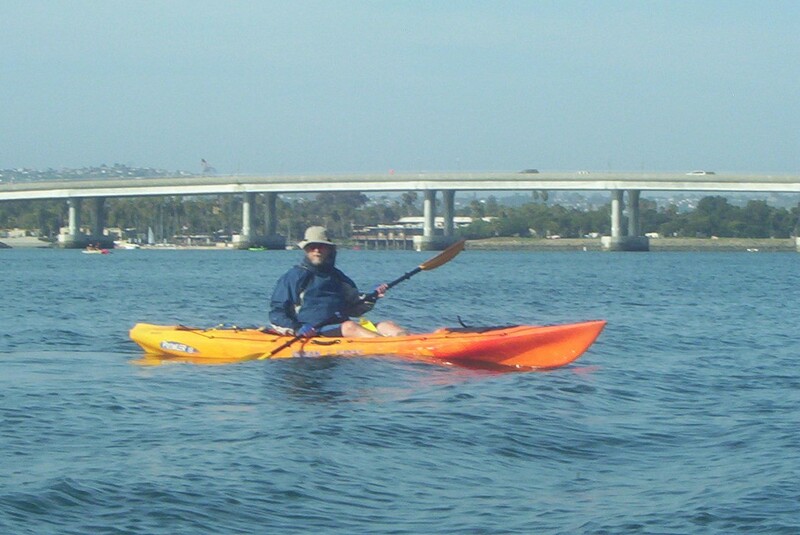 A crystal clear warm day in San Diego. 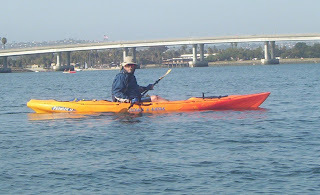 Went kayaking on Sunday with my buddy Sue to hunt for Gray Whales. We launched at Marine Room. There was no surf at all along this section of beach and the surface was glassy as far as we could see. A forty minute paddle to about two miles off La Jolla Shores, but just a half mile from the Chidren's Pool is where we headed. 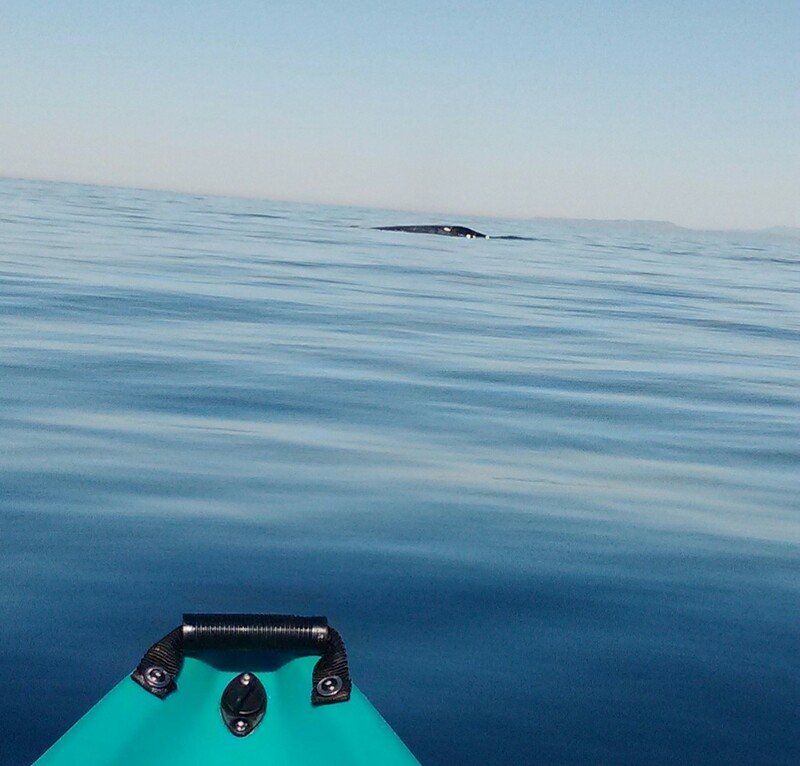 This is where we most often see whales. There must be some kind of underwater geographical feature that channels them here. 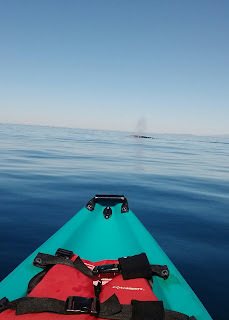 Everytime I have seen a whale from my kayak it has been in this area. 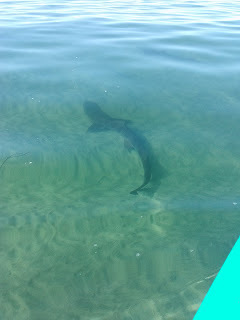 No sooner had we reached our desination then we started spotting them. 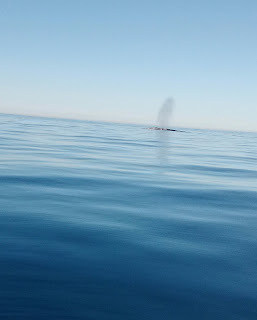 The one pictured below would breach and exhale about five times and then sound, its tail would rise and then disappear below the surface for a deep dive. He would then be gone for about five minutes. We witnessed this about four times. 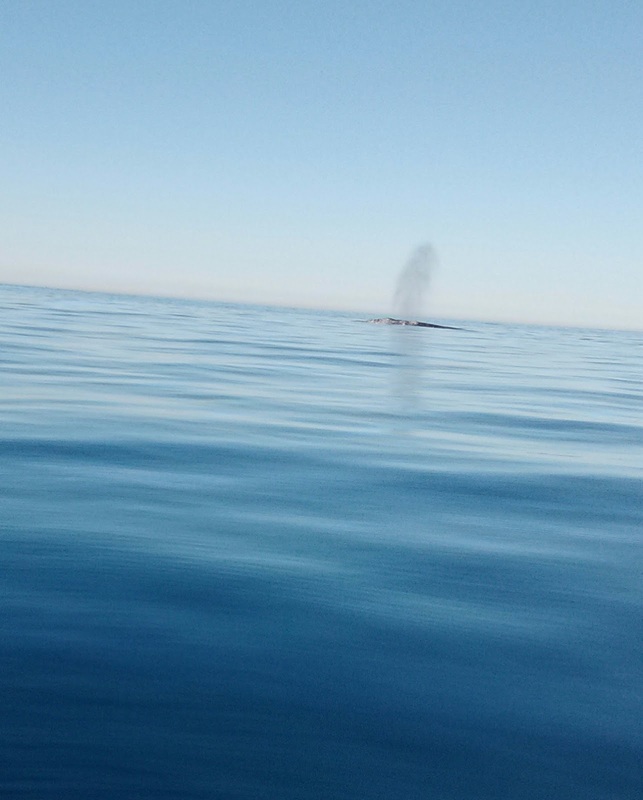 And though we are not sure it may have been the same whale. This is based on timing and the repeated behavior. The water was so still and glassy you can see my reflection. 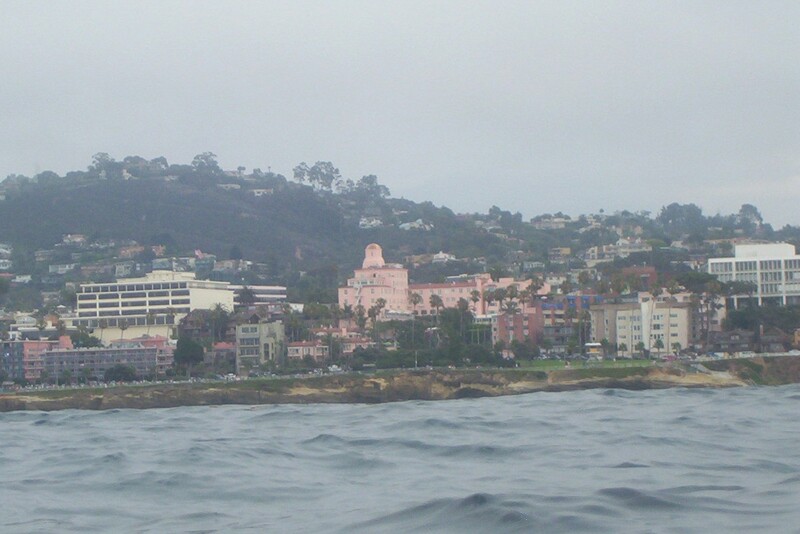 This was taken at our furthist point from shore in open water. Hardly a ripple. Then back at The Marine Room we were able to see the Leopard Sharks where they hang out in the shallows. There were dozens of them. This is a yearly occurance. but not usually at this time of year. This is very unusual. This is more a late spring and summer phenomena. 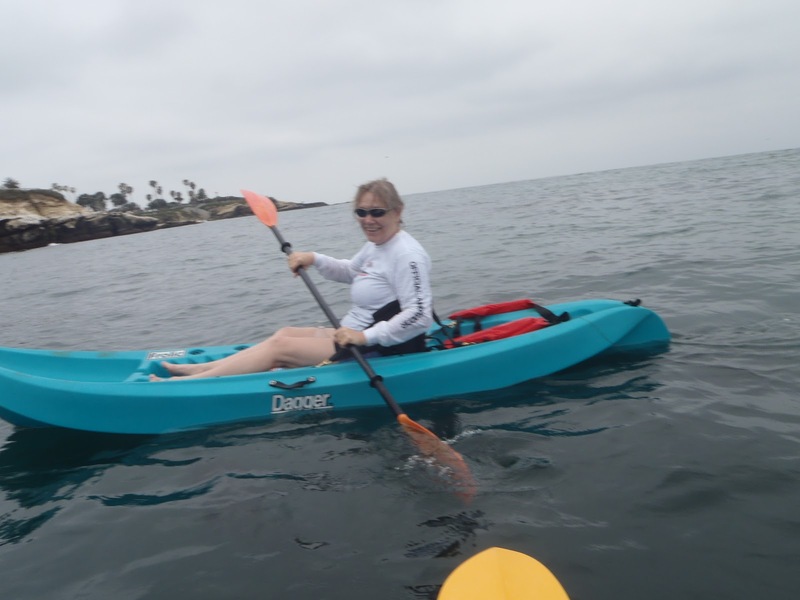 So Sue and I launched our kayaks this morning at the boat launch on Avenida De La Playa in La Jolla. I wanted her to experience this entry point so she could compare it to Marine Room. Both have their benefits. At the boat launch you can drive your car right out on the beach and unload. but then you must go find a parking spot, and they have a time limit. Sometimes hard on a beautiful summer day. 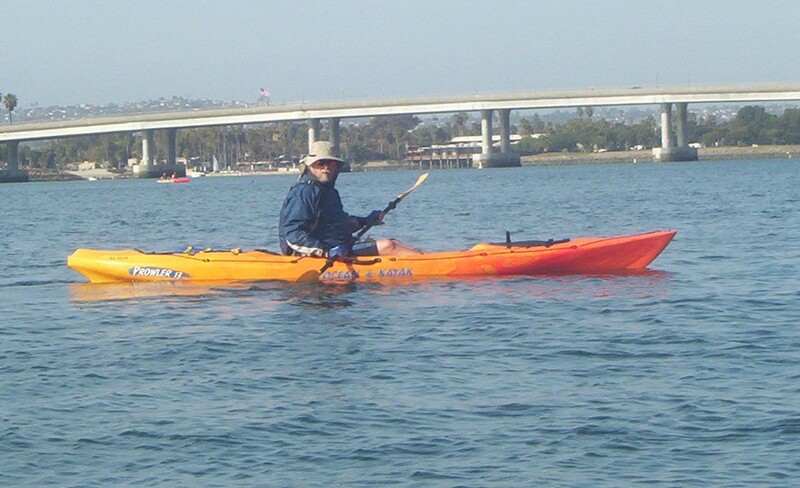 At Marine Room you must portage your kayak down to the beach. But once parked you can stay there all day with not time limit. On our first paddle in La Jolla she made it out past the Children's Pool. So this time I set a goal of South Casa or Hospital Point. I let her set the pace and told her that when she felt she had reached her limit we could turn back. 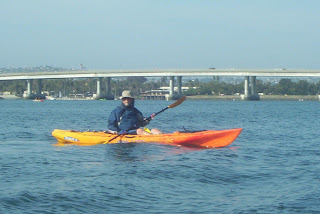 Well, she kept on paddling and paddling. And before you knew it we were past my original goal and she still felt like continuing. So we then went as far as Marine Street Beach. 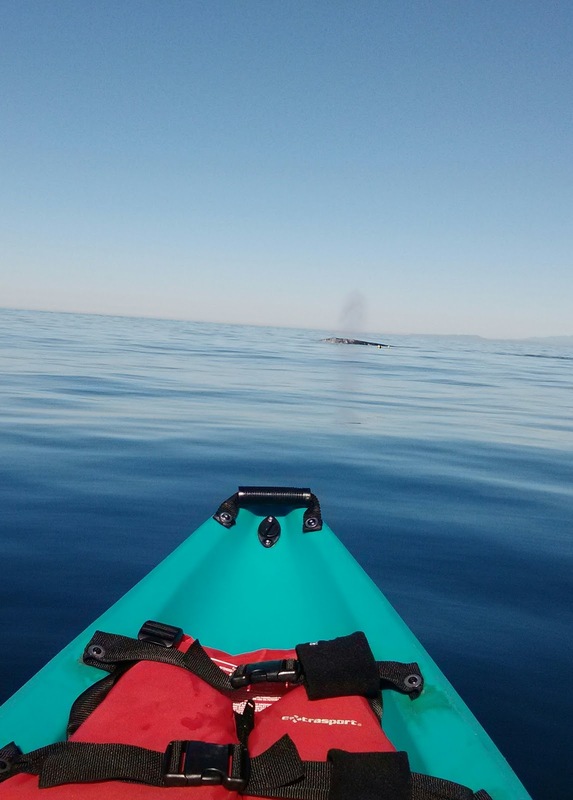 Below is a picture from Sue's kayak of our furthest point south.